In this assignment students created the initial sculpt out of solid wet clay. The design is refined, and then a plaster mold is made. The mask is then cast with puppet grade neoprene, and can be painted, or detailed with other materials. 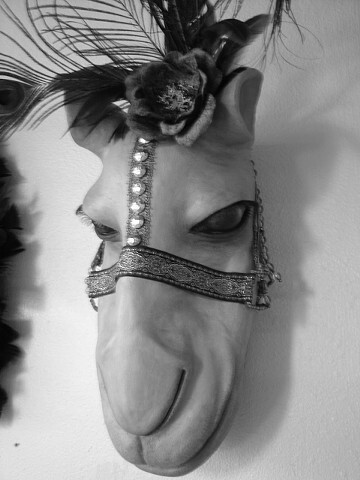 Camel Mask with lace, fabric, and feathers attached.